Posted in: Daily Posts. 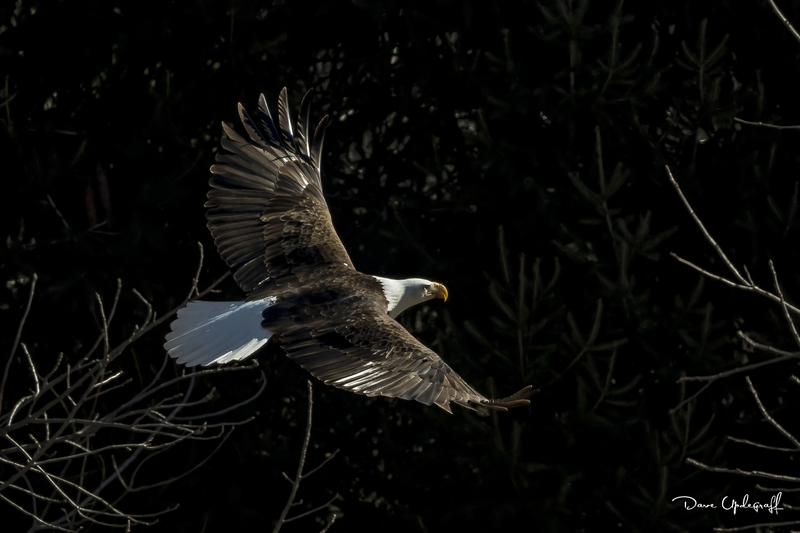 Tagged: Bald Eagles, Friendship, Good Friendships, Photography, Wildlife Photography. Actually I saw him in a small clearing near some woods, finishing up a meal and after about 20 minutes of me being there he decided it was time to seek some solitude. So I have lots of shots of him eating (they are boring) and I didn’t think I would get a sharp image of him because of all the trees and clutter but I got lucky. You can click on the image to get a larger more detailed image.